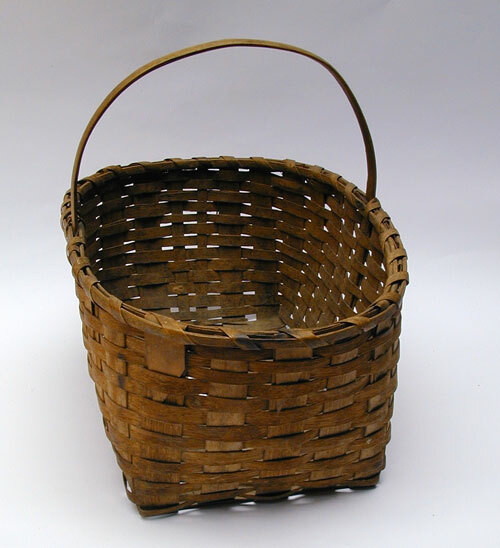 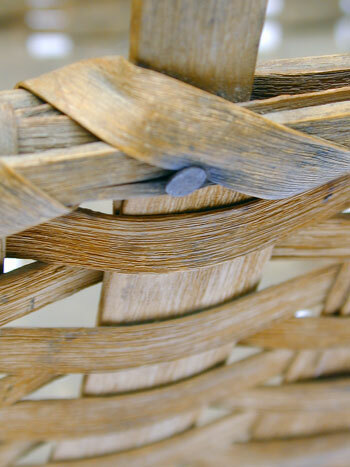 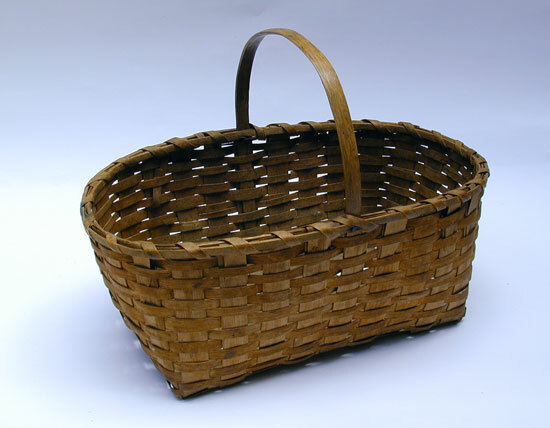 This ash basket dates from the early 20th century or possibly the late 19th century. 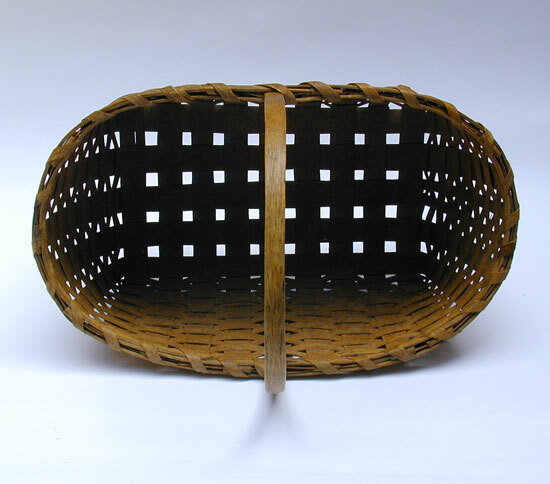 The use of round headed nails where the rim attaches to the handle is indicative of this. 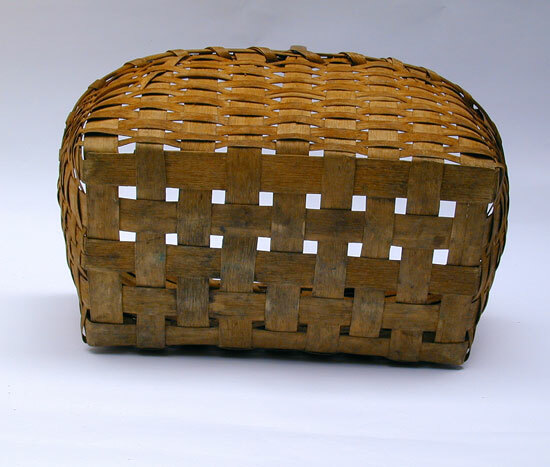 In fine condition measuring 18" long by 11" wide and 13 1/2" high at the top of the handle.